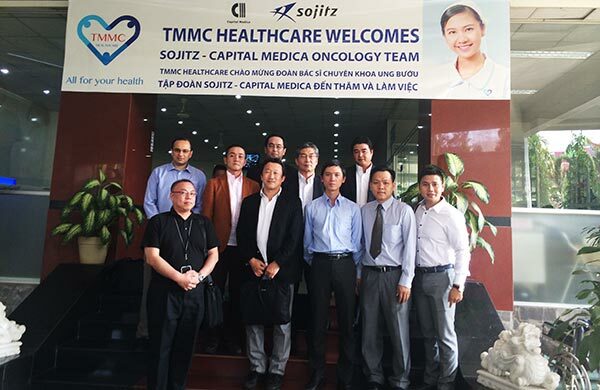 Vietnam’s TMMC Healthcare and Japan’s Capital Medica - Sojitz have agreed to form a strategic healthcare partnership, to offer the improved medical services to millions of Vietnamese patients. The partnership will focus on professional training for medical and supporting staff, sharing knowledge and technology, transferring latest technology and know-how in healthcare, providing evidence-based collaboration for treatment and clinical outcome management, creating cross-border medical study and research; developing a wide spectrum of Medical Centres of Excellence, and introducing Japanese best practice to Vietnam healthcare. Since the very first stage of the Memorandum of Understanding (MOU) on January 1 this year, both sides have been working closely to build the collaboration framework. The first theme of cooperation is to launch joint clinical management programs at some of Medical Centres of Excellence being developed by TMMC Healthcare at their hospitals. The project will benefit patients and community in elevating the standards of healthcare deliver comparable with international best practices. “Through this high level of collaboration, the partnership enables us to offer the improved medical services to millions of Vietnamese patients, and build our competency to emerge as the leading healthcare entity in Vietnam and in the region,” stated Dr. Dilshaad Ali, president and CEO of TMMC Healthcare. Capital Medica Co., Ltd.is famous as the leading healthcare management entity which currently owns and manages nearly 40 hospitals, polyclinics and elderly care facilities in Japan while Sojitz Corporation is one of the most influential trading and investment conglomerates from Japan with many subsidiaries across various industries in Vietnam. TMMC Healthcare is the first integrated healthcare system in Vietnam with four general hospitals and one polyclinic in Ho Chi Minh City, Nha Trang, Danang and Dong Thap.